The MiMo Rooftop Antenna is designed specifically for use on trains, trams and buses. 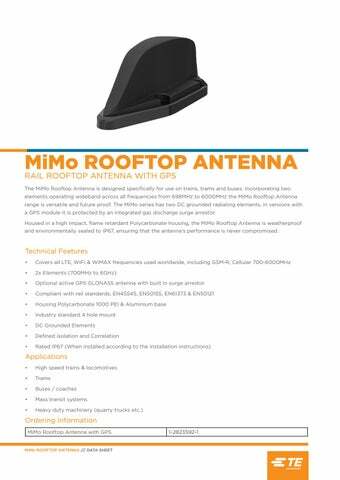 Incorporating two elements operating wideband across all frequencies from 698MHz to 6000MHz the MiMo Rooftop Antenna range is versatile and future proof. The MiMo series has two DC grounded radiating elements, in versions with a GPS module it is protected by an integrated gas discharge surge arrestor. Housed in a high impact, flame retardant Polycarbonate housing, the MiMo Rooftop Antenna is weatherproof and environmentally sealed to IP67, ensuring that the antenna’s performance is never compromised. 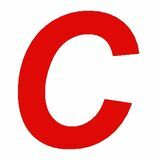 * Measured on a 600 x 600mm (2’ x 2’) ground plane with 1m (3’) of low loss cable.